The Cupcake Wars: Butter Lane is STILL the Best! If you HAVEN'T had a Butter Lane cupcake, then you're really not enjoying deliciousness at its best. 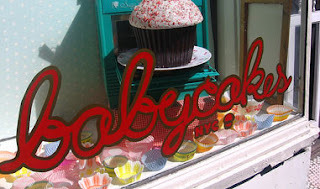 Read my previous post- you'll see that I tried the gluten-free BabyCakes NYC (egads, never again - not for cupcakes!) and even went over to Magnolia Bakery recently - which, trust me, is NOT even close to Butter Lane. Not EVEN. Magnolia Bakery is apparently where the whole cupcake crusade got started here in the Big Apple - but it won't END there! (Thank the deity of your choice!) I mean, they put sprinkles all over their cupcakes. Why? Hell if I know! It doesn't help them taste any better. I found their cupcakes disappointing. I really did. Not like the wildly waxy world of BabyCakes, but I thought that it was beyond ridiculous to get a cupcake from Magnolia's little "self-serve" table AND THEN they have the AUDACITY to have a TIP jar? For what???? They didn't even put the dang overly-sprinkled sugar confection in a box for me. It was done by ME. They should tip ME for the effort -or give me a self-serve discount! And how about the germs that are spread with this less-than-sanitary way to serve cupcakes? You pick out your cupcake with your HANDS (that probably weren't sanitized since your cab ride) and put it in a box. Meanwhile, Nancy Nastyfingers and Sammy Scummynails are touching and prodding every cupcake in the containers -licking their fingers after each one. Ewwwwwwwwwwwwwwwwww! Don't even ASK me why I still selected two cupcakes!??! I will, however, mention that I chose 2 items from the containers not handled by the Germinators - and in the far corners - where they looked relatively untouched. As if that would have helped. The icing was sub-par and again, do I need to mention sprinkles? C'mon! I'm not 3 years old any more! Give me a good cupcake with incredible flavors and top-notch ingredients and you don't need to do the aesthetics. Anyway, I am currently checking on the two-for-one offer given to those who MENTION NYCFOODIEGIRL when they go into Butter Lane during the month of February. They are offering a great deal to anyone who mentions this blog post.... which, if it were possible, would make me an even BIGGER fan of their delectable delights. And they do not know me... I'm no Gael Greene, people! This blog is 100% anonymous. I give 100% bias-free reviews. I will attest that "Butter Lane is the Better Cupcake" -whether or not 2 for 1 deal is authentic (I'm pretty sure it is, so stay tuned for an update!). 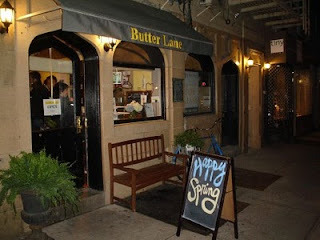 But, I think it is, so MENTION NYCfoodieGirl as the place where you heard about Butter Lane! :) Keep in mind that they deliver and are located at 123 East Seventh Street, New York, New York 10009 (p) 212.677.2880. Baby Cakes NYC: Where's the Wick? I know, I know. Before I even write this, there will be angry people. But one thing about my blog: I don't lie. I don't sugar coat. Although... I wish some people would. Especially if you're a bakery! One fine day, my sweetie brought home some Baby Cakes NYC- just for me. (It's ok, you can "Awwww!" -because I sure did!) However, that loving moment was short lived. Baby Cakes cupcakes can only be loved by those who CAN'T have anything else, ever. They make an ok-tasting brownie, but the cupcakes? As my friend would say when she was unhappy with something, "Them some nasty!" That's right. Let the hate mail commence. I don't like it. I don't like Baby Cakes AT ALL. They weren't just gluten-free, they were TASTE-free, too! I mean, HOW you can create ANYTHING without eggs or dairy or gluten is beyond my understanding of baking anyway. Baby Cakes is creating really nice looking plastic foods... because that what I thought I was eating. They LOOK normal - just like those fake pastries and goodies they create for magazines and high-end ads. I thought I tasted something remotely resembling sweetness, but no. Not. There was a texture that was anything but pleasing, too. I can't quite put my finger on it. It's difficult. They didn't taste real. It was an unpleasant, surreal experience. Not exactly the best thing to say about eating dessert, wouldn't you agree? And don't misunderstand me, I like healthy eating. I love organic food. I shop at the Green Market and places like Whole Foods. I love vegan food, too. But there's better options out there. MUCH better. 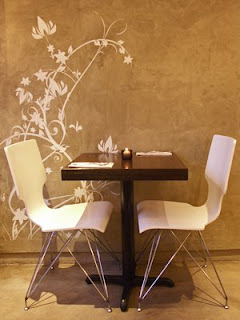 For example, if I want terrific, gluten-free sweets and even get a great vegetarian Italian dinner, I head to Risoterria. That is a lot of O-M-G. They have brownies and even better-tasting-than-the-gluten-counterpart Black and White Cookies! And their gluten-free breadsticks and pizza - AWESOME!! I will go there before ever trying Nasty Cakes again. Should I have tried the cookies instead of the cupcakes? I don't know. I'm honestly scared of Baby Cakes NYC right now. Talk about leaving a bad taste in my mouth. Chewing on a vanilla scented Yankee Candle would be more flavorful. Ethos (1st Avenue): Ach! NO! Did you ever go into a resto with a reasonable expectation, and then it was completely destroyed as soon as you set foot in the door? Instead of running and screaming, you decide to stay because you really WANT to give a place an equal chance.... and the whole time you're questioning WHY you're still sitting there? Arriving at Ethos (U.N. - 1st Avenue location) was the first hint that something was awry. I used OpenTable.com to make my reservation as usual. Yet the hostess was completely dismissive when we arrived... as if we were bothering her to check in. There's nothing like a icy welcome to start off the evening. However, we were seated in a decent spot within the restaurant and ended up with a friendly server. She seemed to care (at first), so this was a little better than the Ice Queen reception. But getting drinks -including just tap water- proved to be a long waiting game. Friendly, yes. Competent, not so much. My companion ordered the lamb - because most Greek restaurants can't screw that up. He was satisfied with it, but admitted it was a "bit overcooked." I think he was being nice. When I tried a piece, it was pretty tough. Last I checked, lamb should be chewable. I ordered the Keftedakia (Greek meatballs) for myself. Why? I'm not sure. Why didn't I go for a fish dish? The Med has good recipes for seafood.... but I don't think what you would order from Ethos would make any difference... it was over-cooked or poorly flavored. The temperature of the dishes at this location were totally off. The salad was even room temp. I like mine crisp and chilled, thanks. Entrees are generally preferred hot and edible. Again, Ethos was a disappointment. After we finished our so-called "meal", the waitress talked over 20 minutes to a neighboring table. She was nice and personable, just not very good at delivering food on time or listening to customer requests. After our initial order, she had completely forgotten us and another table -where that party was audibly annoyed and started to leave without paying for the bill (both tables - including us - had asked a couple of times for the check - but were left waiting for an incredibly long time). Believe me: I won't return to this location. There were too many problems when there's an abundance of really good places in this city to eat. Ethos is an Eat? No! 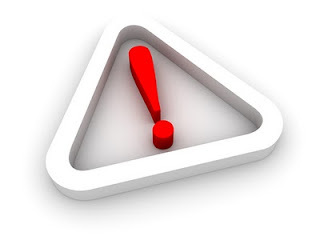 Avoid this locale. A food cart would be more deserving of your dollars. DBGB Kitchen and Bar takes things to a different plane. And no, I don't mean that the food tastes like airplane food. For God's sake, NO! What I'm trying to convey is that DBGB has a flair and a scene combined with the gourmet pleasures one would expect from a place with Daniel's name on it. Just try a sampling of the sausages or order the Sausage Duo! Whichever one(s) you select will be terrific! I like the one called Beaujolaise -and it's funny to say it (plus, I think it's French for "yummier") - The Viennoise and the Vermont are also notable in my book. The Red Curry Mussels are always on the table to share - the sauce makes these babies terrific - sop it up with the bread you'll be served and it's "voila"! If you want to take the burger route - I like the Piggie over the other offerings - that with the fries and homemade mayo (yes, eat the fries WITH mayo, not ketchup) and I'm looking like a big (but happy) porker by the end of the night. PLUS! If you like beer -and even if you don't... there's probably a beverage of choice that might just have you tasting some of the most flavorful ales, draughts, or bocks you ever had. Just be sure to ask for Colin - the in-house wine and beer director. He knows his drinks like none other. The desserts are like the food menu: plentiful! If you've never had Baked Alaska, this is THE place to try it out. Presentation is everything and it seems like a birthday party is going on whenever someone orders it. There's also plenty of sundaes and other sweets that will satisfy the most discerning diner. And honestly, the only "real" downside to DBGB is that I think everyone wants to be here at the same time. And people, for the most part, are loud when we're in groups. The overall set up of the space is very conducive to projecting and elevating loud noise. It's not first date material, but it's a place to go with friends and family or date #2. It might be helpful if you know some American Sign Language as you have a discussion, though. 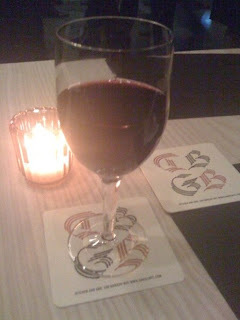 Each time I've been to DBGB -and it's been numerous- there are always celebrity spottings. It's a scene and a cuisine that I would recommend every NYer to give a try. Just stop going on the nights when *I'M* there.....Ok? Thanks. I can't help it! Normally, I focus on restaurants that have been viewed by the New York Times, Eater or other source. But I'm making an exception here because I am pretty impressed with my small local restaurant that features Japanese and Thai cuisine: FUSE. If you happen to be in the 'hood and you want to go inside to eat, the service is fast and friendly. The overall look of the place is pretty hip and especially clean. There are ample places to sit and you don't feel rushed to leave. Again, it may not be the best you've ever had, but this is great place to pick up a quick dish and dash -all under $20 for two people for lunch. Great deal! Interesting name for a new, up and coming restaurant in the West Village (NYC) on 308-310 Bleeker: Choptank. I attended the Friends and Family pre-opener this past weekend and I have to say, I was pleasantly surprised. For the F&F, it went rather smoothly. Of course, there's always a little room for some quirks and backups before any restaurant opens, and this was no exception. The seafood dishes are done by a former chef of Le Bernardin, he KNOWS fish! Chef Matthew Schaefer also has an INCREDIBLE Crab Chowder. That is a must-keep for the menu. The Arctic Char was also well done -the lentils made the dish. Old Bay Chips and Dip -maybe a bit salty on the chips, but the dip really evens it all out and makes a great combination. Have this with the K Viogner and HELLO yumminess! Great pairing. The atmosphere is perfect for its location. Overall, it has so much to offer the local crowd. Great bar space, nice banquettes and such a big space (it *is* New York City, and big space is not like Midwestern or Texan big space, but it's all relative, right?). Fun spot all around. Staff knowledge of the menu (but of course, this comes with time). Some of the dishes were a bit too salty for me (but it IS seafood, so I'm not knocking it, just making a suggestion). Some others need a little more pizazz. Like the Roasted Wild Mushrooms are good, but there's not any real dimension to their flavor. They are just mushrooms right now. Expansion of dessert menu. The citrus sorbet and cheesecake ice cream are delicious. Timing of the resetting (of silverware, plates, crumb removal, etc.). Again, this is after a little more experience. I liked so much about this up and coming restaurant, that I am trying to not be over the top. I'm honestly trying to be fair with my assessment. Keep in mind that there are seafood dishes, but also choices for the "not so crazy for the ocean wildlife" crowd, too. Choptank goes live on Monday, January 11th, 2010. Not to be missed. Make your reservations now, this has all the potential to make it big!